Updates to Judy (Don)'s profile since your last visit are highlighted in yellow. I had originally planned to attend the dinner on Sat. night, but had to cancel that plan when we figured out that the Glenwood triathlon is that Sunday morning. My husband always competes in that triathlon (except for when he's injured! ), & it's his favorite one, so can't ask him to forgo it. He nearly always wins his age group & we really enjoy the location, so it's with mixed feelings I'm missing the reunion. I do plan to attend the Friday night function at the Harvest House. I attended all 4 years of college at CU in Boulder. My husband was also a CU student (from Douglas County High School) & we got married right after I graduated from CU. He graduated a year after me (on the 6 year plan!) & we moved to San Diego, CA in 1969 for his 1st job. Our 1st daughter was born in San Diego the next fall. We moved to Seattle, WA in 1974 & had a 2nd daughter the next year. After 2 1/2 years in Seattle, we moved back to CA & lived in Claremont, CA for 1 year. Those jobs were all with Honeywell. Then we had an opportunity in 1978 to move back to Boulder (StorageTek) & we have been here ever since! Our 3rd child (a son) was born the following year. Most of my years since college I was a stay-at-home mom. I went to work for BVSD when our youngest was in middle school & our oldest was in college. The middle one was a student at Fairview by then. I worked at Platt Middle School for a few years (the old FHS building). I continued to work for BVSD as a paraeducator for 14 years, mostly in a preschool program at Creekside Elementary (formerly Martin Park). Our oldest daughter graduated from Boulder High, but the younger 2 are both Fairview graduates. The girls both graduated from Western State College in Gunnison, CO & our son got his undergraduate degree from the University of Northern Colorado in Greeley. I retired in 2008 and spend most of my time these days volunteering as the librarian for the state quilt guild, Colorado Quilting Council. 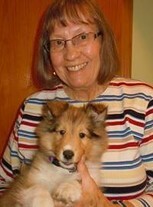 Right now I'm also spending lots of time training the newest member of our family, a 6 month old Sheltie puppy. And still working on getting our basement put back together after the flood. The basement is 1/2 our house, so lots of stuff is down there. We have 2 grandchildren living in town & they will probably graduate from FHS in 2020 & 2023--OH MY! I am still married to the same man I married the day after college graduation & it has been a pretty happy life. We were affected by the flood last September but the damage has been repaired--all it takes is money! I can't really remember much in the way of memorable moments at FHS other than the awards assembly when I found out I was the recipient of a Joint Honors scholarship--that was very exciting & it enabled me to graduate from CU in 4 years with no debt! A sad memory which stands out is, of course, the assassination of President Kennedy. I'm sure none of my classmates know much of anything about me, since I only attended Fairview for my senior year. I haven't been in contact with anyone at FHS since my college days. My high school days were a jumble of new schools--Fairview was the only school that I attended for an entire year: I started out at Bear Creek High in Lakewood, moved to Mountain Home, Idaho in the spring of my Sophomore year, then to Tucson, AZ for the 1st part of my junior year & back to Bear Creek in March of that year. Over the summer, we moved to Boulder & I enrolled at Fairview--a whole year in one school! 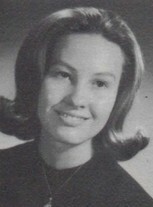 Judy (Don) Norton Forkner updated profile. View. Judy (Don) Norton Forkner added a comment on Marsh (Ardine) Ingraham's Profile. Judy (Don) Norton Forkner added a comment on Profile. Judy (Don) Norton Forkner joined via Class Connection Facebook app.